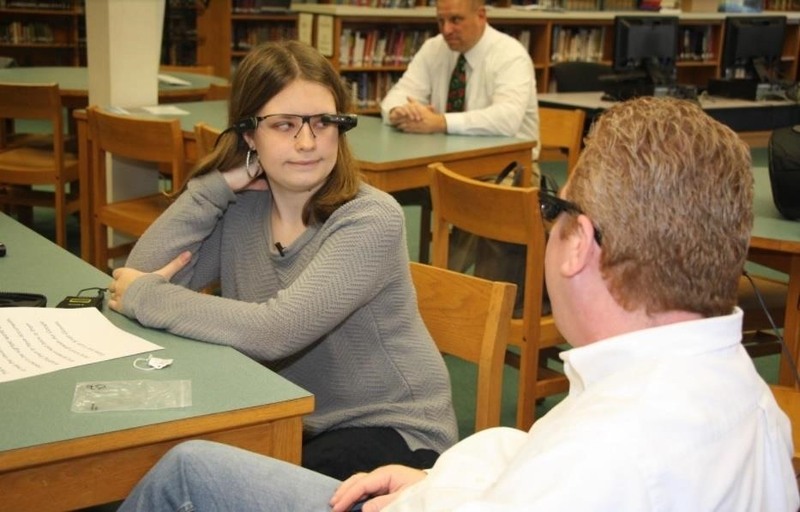 Augmented reality hardware maker Vuzix came to the rescue of a vision-impaired student in Pennsylvania today by delivering a pair of Vuzix M300 Smart Glasses to enhance her eyesight. 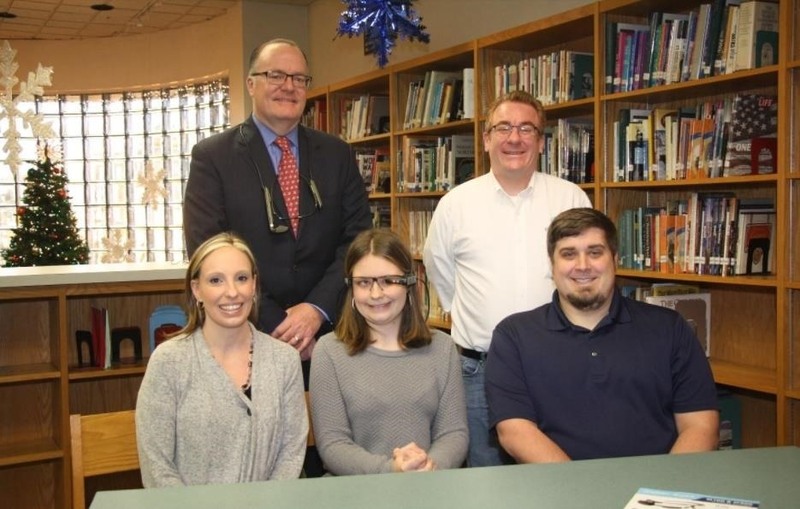 Alyssa Baxter, a student at Portage Area Junior-Senior High School in Pennsylvania, was born with optic nerve hypoplasia, a condition that stunts the development of the optic nerves. While Baxter is still able to see, it is not without difficulty. She suffers from what can be described as extreme farsightedness; In order to read or write, her face must be a nose-length away from her desk or display. Reading books means she literally has to put her nose in them (and they rarely have a pleasant odor). Viewing the front of the classroom requires a camera and monitor workstation that the school cannot afford to install in every room. "A lot of us need glasses. Without them, how would we get by? Imagine what a challenge it is for people like Alyssa who have severe vision problems?" said Pete Noel, Portage's director of special education. Baxter's new smartglasses are capable of 15x magnification of text, allowing her to read from a comfortable distance. The device's compact form factor also means she can carry it with her from class to class. Meanwhile, a visual aid application from CyberTimez provides additional assistance with text-to-voice transcription, object and color recognition, barcode scanning for product identification, and a "mood ring" tool that deciphers the expressions of people in her line of sight. "The combination of ergonomic and functional smart glasses like the Vuzix M300 combined with the right software application provides a solution that is commercially available today that can deliver sight to visually impaired individuals like Alyssa Baxter, and the entire team is excited that we can help in some way," said Paul Boris, Vuzix chief operating officer and long-time Pennsylvania resident, who was on-hand for the delivery of the device to Baxter today. CyberTimez sells the Cyber Eyez Vuzix M300 Smart Glasses bundle to consumers for $2,297, as well as to veterans via the Wounded Warrior Project. However, in the spirit of the season, Vuzix has covered the cost of the package as a donation to Baxter. With all of the use cases of augmented reality improving the lives of otherwise very capable consumers and workers, the potential for the technology to give abilities to people that they have been physically deprived on is a real gift.